I was reading this book while staying with my family over Christmas, and I was trying to describe what it was about to my sister, and it was actually really hard. It's a family saga about a woman who created a department store chain. And that makes it sound so boring, but it's really a great series of books. This book, like Hold the Dream, focuses on Paula O'Neill, Emma Harte's granddaughter and the current head of the Harte's Department Stores chain (and its attendant businesses). The book begins several years after the last one ended. Paula and Shane are married and have two children of their own. Things continue to go well for the Hartes, O'Neills, and Kallinskys. Until an old enemy rears his ugly head. Will Paula continue the tradition of excellence initiated by the great Emma Harte, or will she make a misstep and cost herself the company? Is a hostile takeover in the future for the Harte chain? This one wasn't my favorite of all the books. I still think the first book was the best. In To Be the Best, there is a more disjointed focus on some of the minor players that kind of took me out of the main storyline. I do understand why those people were introduced, and they played important parts in the later chapters of the book, but it wasn't done very organically, so it felt jarring to me. Overall, though, the book was a good, solid entry in the Harte saga. Four out of five Whatevers. Recommended for folks who are already into this series, for those who enjoy sweeping family sagas, and for those who like stories of corporate intrigue that smack of the 1980's. P.S. I made it to a whopping 13 books this year, which is two more than last year, so goal realized! I blame Les Mis, that doorstop that I started the year with (but which was totally worth it). 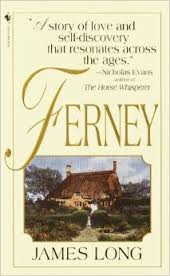 I finished reading Ferney on Sunday, but I've been so busy with giving my class their final and Christmas shopping that I haven't had time to do a review. This book is another that was in the bag of random books my mother-in-law gave us a couple of years ago. I don't quite know what to say about it. I guess I liked it, but it's kind of not a book you LIKE. Ferney is about a woman named Gally and her husband, Mike. They are looking for a new home, somewhere out in the country, somewhere outside of London. Gally has suffered from debilitating panic attacks and crippling nightmares - the burnman and the boilman. She's never understood the origin of the dreams, but they intrude upon her sleep nevertheless. When Mike and Gally come across a little, run-down stone house in Penselwood, Gally knows this is the place. After they buy the house and start renovating it, her nightmares subside, and they meet an elderly neighbor man named Ferney. Ferney tells Gally an unbelievable story about why the house seems so familiar to her, where her dreams come from, and who she is. 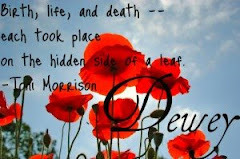 Will she choose to believe his yarns, or will she stay firmly rooted in her present? What will she do if forced to choose between Mike and Ferney? I knew nothing about this book before reading it, but I'm glad I did. At first, it was really hard for me to get into the book - it was atmospheric, but the atmosphere was primarily foreboding. I didn't want to go back to it, because I felt sure something terrible was going to happen. But the story ended up sucking me in, and I flew through the rest of it. For me, finishing a book in a week or less is almost impossible, so I must have really liked this one! Four out of five Whatevers. I took off one Whatever for the sense of foreboding that initially kept me at bay. Recommended for those who like historical fiction, for fans of magical realism, and for those who enjoy a good Gothic read (I don't know that it's strictly Gothic in nature, but it had that feel to it).